Join us for the ultimate experience in Tanzania. Journey on an expedition of a lifetime! We start off in  Manyara National park, wander through the infamous Serengeti, pass through Ngorongoro Crater and Saadani National Park where 'bush meets the beach', easing into island relaxation in Zanzibar. We take off from Dar es Salaam in early morning hours. We get breakfast as we head towards the northern highlands of Tanzania to the charming town called Arusha, where we spend the night and get ready to launch into a Safari experience of a lifetime. A drive from Arusha to Manyara National park will take approximately two hours. A fascinating unique feature is that in Lake Manyara National park has a rare feature of lions that climb trees freely. Lake Manyara is a soft introduction to the Safari journey ahead with scenic beauty, game views, flamingos baboons elephants, a breathtaking lake that takes up most of the park, leaving a land strip of game concentration. Starting with a game drive through Ngorongoro, we reach the National Park that is world renowned, Serengeti. The wildebeest migration fame, open plains, an exceptional full game drive Serengeti National Park- Oldest game reserve in Tanzania. We head off to Saadani National Park that is created in the historic triangle of Bagamoyo, Zanzibar, and Pangani. 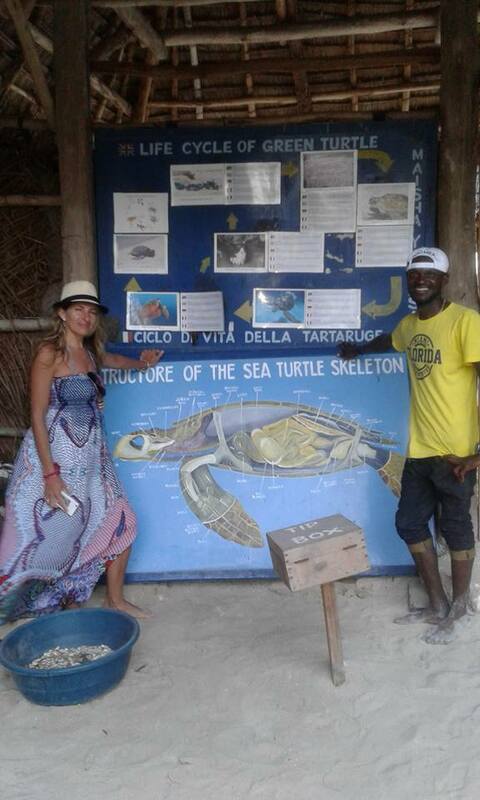 The Tanzania Wildlife sanctuary bordering the sea with a combination of marine flora in a fascinating setting, there are thirty species of mammals and numerous birds and reptiles in a preserved ecosystem including the Wami River, Mkwaja ranch, and Zaraninge forest. Boat Safari in Saadani River Wami for two hours, we finally head off back to Dar es Salaam and take to ferry to Zanzibar. Ferry to Zanzibar. In Zanzibar get barefoot on sands of the sea or lay back under the sun, dive .dhow ride.snorkellinging or kayaking. This is relaxing breakaway on Zanzibar beaches after a magnificent escapade of a Safari in the motherland of Tanzania. Why Safari in Tanzania? The question pounded on. My journey, my search continued. I clearly affirmed in Exploring the splendor of Tanzania – ‘Journey into all dimensions delving into the mystics and wonders of the heart of ‘Motherland Africa’ Tanzania. These are rare and highly endangered animals found only in Tanzania. They weigh 60 grams and they continue to decline in threatened forests.The Rondo Dwarf Galago is classified into 25 of the most endangered species in the whole world. The animal is losing its habitat due to forest fires and deforestation. This particular species has no conservation program to maintain them and few Tanzanians know of their existence. Mountain Dwarf galagoes are found in the Udzungwa Mountain National Park, the Udzungwa scarp forest reserve in Tanzania as well as Taiti Hills forest reserve Kenya. Their main threat is loss of habitat due to deforestation and conversion of the land for agriculture. Endemic to Zanzibar (Unguja), they are mainly found in the southeast, Jozani Chwaka Bay National Park as well as the agricultural area in the south. In Mangrove swamps and coral thickets in the southwest. A large forest antelope found exclusively in Tanzanian Forest Mountains. They are called ‘Minde’ in the local language Kiswahili. This antelope is a rare Duiker in Africa. The Pemba flying fox is one of the highly endangered species in the country of Tanzania. This species, rare small located in the Udzungwe Mountains southern The rare small animal, the shrew, is disappearing due to deforestation in these areas. They are found in only in the ideal climate of Tanzania. Grey-faced elephant-shrew are larger than other shrews and are sparse in color with glossy stiff fur. 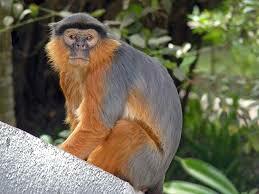 The Kipunji is an Old World monkey species that living in Highland Tanzania forests. The kipunji ‘honk-bark’ call , distinguishing it from close relatives. The Sanje mangabey is an endangered Old World monkey of the white-eyelid mangabey Tanzania group. They are 5 to 65 centimeters in length and weighs about seven to nine kilograms, they are greyish in color. They live forests on ground-dwelling and are threatened by poaching and to hunting. The demon mole rat is solitary. communicates seismically to other mole rats and predators by head banging its burrow. There are numerous issues affecting the conservation of animals in Tanzania. These are inclusive of poverty and education, wildlife and human health, the growth of the population, pressures of sustainable development, the planning of land use, financial and technical capacity. These issues need engagement for any conservation programs to help Tanzania conserve an extraordinary environment and wildlife sector. Species are under several threats including fragmentation and habitat loss, conflict, natural resource management that is unsustainable and hunting. The climate changes have a negative effect on the biodiversity in Tanzania as well. With its natural landscapes of wonder,the blessed land of Tanzania is one unforgettable destination to set foot on in the world. It is not extremely expensive, but there is so much to do. This leaves you yearning to experience all you can, that can leave your wallets undernourished and the magnetism will leave you craving to come back. A ‘must have’ trip to Tanzania can include mountain climbing, safaris, city bustling excitement and beach relax escapades. The ideal backpacking trip venture can include reaching the highest summit to the wilderness of Serengeti in the north until chimpanzees at the Gombe national park in the west. 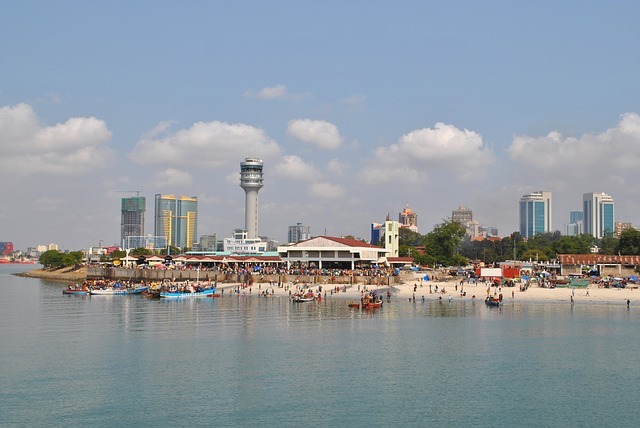 The Tanzanian journey for most and many begin in the city of Dar-es-Salaam, the capital of Tanzania, a natural start for a tour around Tanzania. 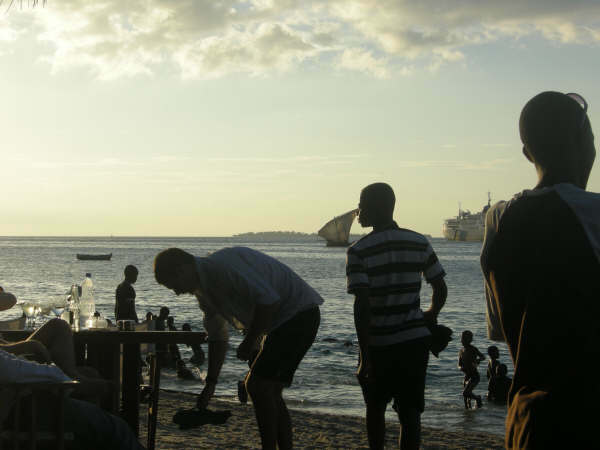 There are cities in the north and the south of Dar-es-Salaam where you find camping and beach relaxation points. It is recommended to get in tune with Tanzania in the city a few days before jetting off to the natural wonders beyond the buzzing city life. The essence of a travel in Africa is an experience of rich unique nature and wildlife. The northern side is where Mount Kilimanjaro the highest summit in Africa is located and amazing sightings along the way. A week can be dedicated to climbing the mountain. On route up, there are cabins and camps to spend nights and rest. It is possible to climb Kilimanjaro at any fitness or temperature level. Reaching the top can be tedious but exhilarating! We have ample opportunities in Northern Tanzania to experience fascinating wildlife on a safari tour. There are alternatives to the known and most visited parks like Serengeti National Park. One is the Arusha National Park, between Mount Meru and Kilimanjaro. 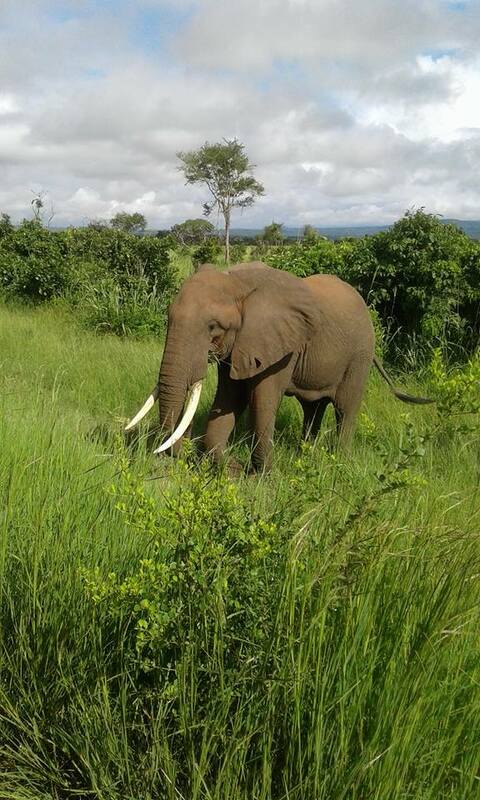 Arusha National Park has a wide variety of flora and fauna that differs from the Serengeti National Park. It has savannah, marshes, and forests. The highlights include the Ngurdoto Crater, Mount Meru and Momela Lakes. Mount Meru is the alternative to climbing Kilimanjaro. A unique opportunity to explore abundant wildlife. There are buffaloes, elephants, zebras, antelopes, monkey and bird types and leopards too. There is a wide range of Safari options including the Lake Manyara National Park. The park has teeming hippos and gains its fame for masses of flamingos. Another highlight is tree climbing lions. Spend a tent night camp and the evening can be spent absorbing and reflecting on the mesmerising day experiences and watch the sunset in a backdrop of huge baobab trees. If you decide to travel through the west of Tanzania, chimpanzees in Gombe are the highlight in the Gombe Stream National Park. The park is near the border of Burundi near the Tanganyika lake and the only pathway there is a boat ride to the deepest Africa continent endeavor. Jane Goodall researched chimp behavior in Tanzania since 1960. Chimpanzee sightings are special experiences. Baboons and monkey sightings, as well as approximately 200 bird species, can be possible in Gombe. There are many options of accommodation in lodges and lakeside camps or the permanent campsites. The highlights include the mesmerizing annual migration of the wildebeests in Serengeti. The south Serengeti and moving to northern Kenya as well as the Maasai Mara from about August to September. Safaris are in the range of $300 for about three or four days if you carefully plan. Kilimanjaro with its snow-capped peak is a drawing card on a note. Experts say that the top glacier with the iconic snowcap will melt away by 2020, so get a move on to experience the soon to be the extinct wonder! The costs are between $850 and 5000 depending mainly on your willingness to rough it up. Zanzibar, the spice island in the world apart from the mainland of Tanzania, it is a hidden Arabic alcove, and if you ignore the five-star hotels, you can experience the island that is forgotten by time. Blue waters and giant tortoises together with food markets to making your mouth water in a full moon party. Ngorongoro Crater has more animals than you can imagine. It is brutally something else. Even months can pass by in a heartbeat in Tanzania. 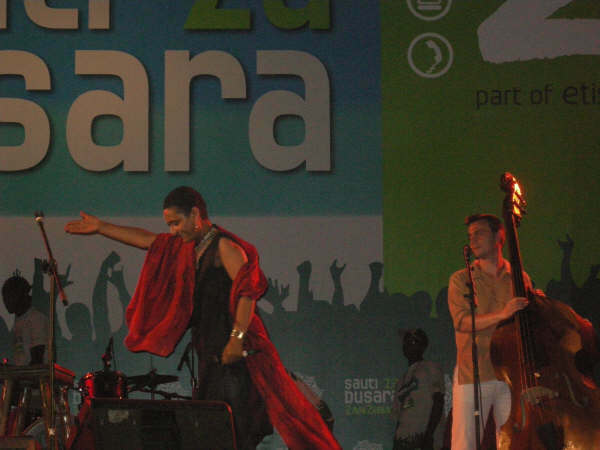 Zanzibar is almost 100 percent Islamic and culturally sensitive with dress and behavior. The mainland is more of a mixture but cultural awareness remains key. Travel to Tanzania and start changing life and influencing others breaking free from to ‘real world’ padlocks in the wastelands that drown magnificence. Volunteers flock from all over the world to experience Africa and volunteer in Tanzania. Volunteers in all stages, ages, and life phases. Why? Some are students that are on a summer vacation, others are teachers, others are on a break from the norms of the daily hustle and bustle careers and some are retired. Others see Tanzania as an ideal honeymoon escapade! Most volunteers choose to stay involved even after returning to home countries and continue with fundraising, making return trips. Tourism by volunteering is slowly becoming a preferred way for travelers to journey to destinations they wish to explore. Volunteering allows local community involvement experiencing the essence and core of cultures in depth. Volunteers journey on a pathway to the experience of ‘true Africa’ working hands-on with local communities and also experience the amazing wildlife, scenery, and shores of the East Africa Tanzania coastline. 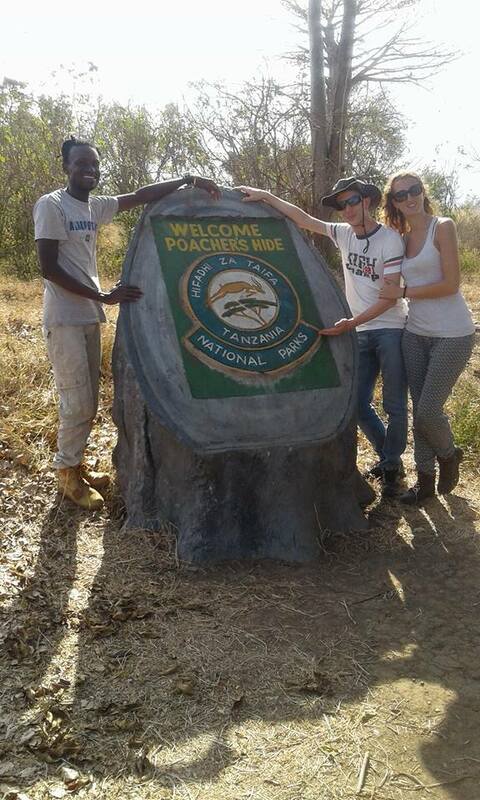 Volunteering in Africa, Tanzania offers a range of activities whether it is passion or study or an interesting field. Awaken a new spirit of consciousness, share your skills, and take home skills gained in practical knowledge and work. A volunteering program will most definitely add more impact to your personal lifestyle and presence. There are infinite benefits of volunteering in Tanzania, fostering world relations uplifting a solo traveler or group travelers. The unique experience is a pathway of joining in unison with fellow volunteers from multiple other backgrounds and can be a journey of team building and bonding with friends or family in  passion, energy, and skills. 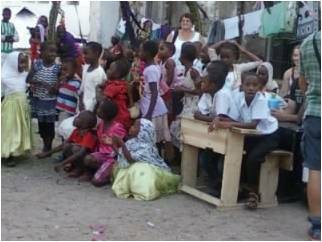 Volunteering offers much more than a tourist experience.The Volunteer programmes on Tanzania are based on various levels, art, education, music and life skills. There are Swahili and authentic art workshops like Tinga Tinga. There are various schools and healthcare volunteer timeframes can be organised with medical fraternities. Women and children community groups with the key focus of development for women and linked children's homes. The Africa Modern Art project was developed to teach and help support underprivileged Tanzanian youth by upholding basic human rights, giving them the opportunity to use their full potential in their communities. 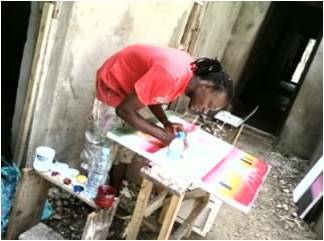 Bagamoyo is an integral part of a rich artistic history over the centuries. There are approximately ninety students with regular intake. 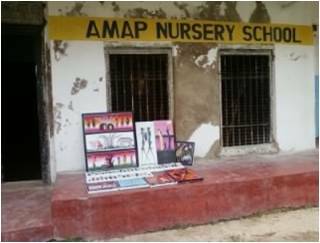 The implementation company of AMAP is The East Africa Aid Foundation in New York and Saidi Mbungu, a local talented artist. They learn English, games, art, drumming and songs. Every Friday they walk down the beach to play. Stories were originally created for teaching each other about-about life, including birth, love, food gathering, hunting, warfare, marriage and death but also about the Creation. The traditional way to educate about history. 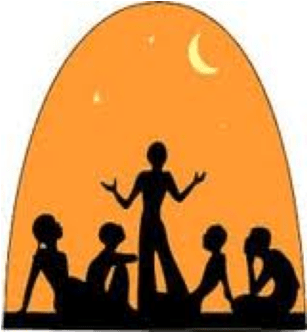 Culture and laws were storytelling, using a combination of Arts form such as painting, singing, music and dancing to illustrate the ancient Elders had the obligation to pass the stories along, ensuring that young people build and retain a sense of who they are. There are storytelling events that focus on African Animals. In particular Tinga Tinga artwork. The stories depict life lessons of value and culture and education. The kids will gather and tell the story through created Tinga Tinga paintings. African art has played an important role in the culture and history of the world. It’s distinctive characteristics and inspirations have influenced many artists to adopt their own interpretation of the art in their own time period. Characteristics of African art have made its way into many paintings in the Cubist period, among others. If one examines the European avant-garde artistic movement of cubism, founded mainly by Pablo Picasso, you will find many themes adapted from African art. Artists are an invaluable part of every African society giving voice to the people through periods of oppression and achievement. Turmoil on the African continent has meant the lack of flow of great traditional works across the continent in which its artists are suppressed or not provided with opportunities to develop and market their products at the true value. Tanzania is home to some of the most ancient and beautiful art in the world. Tanzania has a remarkable position in art. Two styles became world known: Tingatinga and Makonde Popular African paintings painted with enamel paintings on canvas. The motifs are usually birds, animals and flowers in colorful repetitive design Tinga Tinga is one of the many forms of Impressionism the beautiful and mysterious continent of Africa has given birth to. 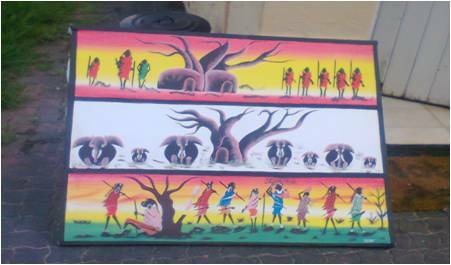 Unlike Western styles of Impressionism, Tinga Tinga Art gets its unique and vibrant style from the magnificent natural surroundings of Africa. Artists have the freedom to use their brushes to express their thoughts in bright, eye-catching colors. A striking feature in most of these paintings is the way the artists capture the animals of the Eastern coast of Africa, in what appears to the distorted yet a very interesting image of the original creature! Preschools accommodate children from 2-5 years old.Various preschool teaching areas like basic Mathematics and English. Join in on a mission to Travel in Tanzania ensuring a memorable volunteering adventure! 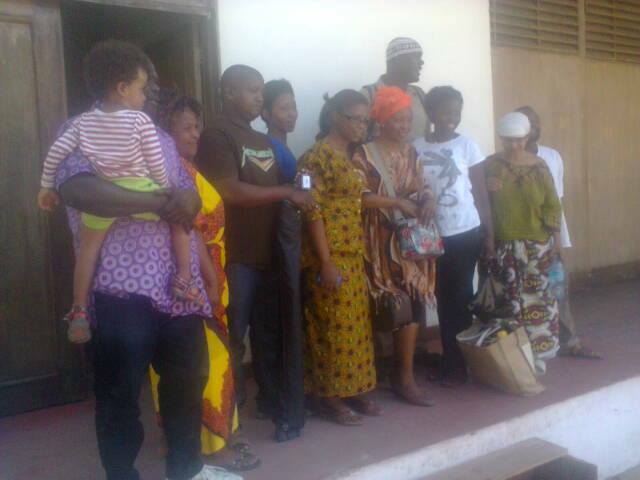 Contact Thomas Mura or Nassoro for an itinerary in Bagamoyo and Kigamboni. The list of reasons to visit Tanzania is never-ending. The fascinating history, the beautiful coastline and of course, the magnificent scenery. The one major attraction that overwhelms others is the wildlife. It a prime country for game viewing. The most famous are the Serengeti as well as the Ngorongoro Crater. These are the highlights of the national parks and conservation areas mosaic. Once a safari destination in Tanzania is decided upon, examine flight routes that are available from your place of departure. Remember that whatever you manage to save on flights can be kept for your accommodation and Safari. You will require a guide that will be able to drive you around the game reserves and view the wildlife. You can opt to choose for a private tour or join a tour group. This links to costs. Large buses with bigger groups cost less per person but remember that this will not allow that ‘personal journey’ mode. Large buses with bigger groups cost less per person but remember that this will not allow that ‘personal journey’ mode. If you choose a personal guide there is freedom to travel according to your personal preferences. If you decide to spend a longer time at a certain site you are more drawn to, it is your choice. You may alter itineraries and change the plans if you feel like. For instance, you may decide to lengthen your time in Serengeti. Connect personally with the guide, as this will enhance the safari energy and experience. This is critical. The guide will be your ears, your eyes and with you for the coming days. They can either make your experience or break it. To have a guide that is knowledgeable adds more to the safari experience. Narrow down your searches to the 3 companies from your search. Ask for a quotation depending on the number of days you are planning and analyse the offers. Some tent camps have simple necessities while others are far better than hotel rooms! They have built in showers and incredible views with elephants and giraffes in short distances. Splitting time between lodges and camps allow you experiencing both ways. Lodges have a great atmosphere and you get to socialise with other travellers on safari while sipping drinks at the poolside, looking over the area you plan to venture the next day. There are many mobile camps available in Serengeti. They are like little tent hotels with the private bathrooms and eating area and a bed. The tents are large is hardly about ‘roughing it up’ in the outdoors. Yet right outside your tent, there could be a hyena, elephant or a lion! You are escorted to your tent room each night as barriers do not exist and next, you may just spend an exciting night when the hyenas visit! Budget lodges allow you to camp in public sites. It is recommended to get a guide, as it is easy to lose your way if you are not very experienced. Safaris do not come cheap, but there are many ways to cut down costs. Book cheaper accommodation. There is no need to overdo accommodation as you will be away on Safari all say anyway. You may book budget hotels as an alternative. Buy snacks and enough water at a nearby local market before you start your safari venture. Hotels will charge more than local markets. Stock up before your journey and you will be sure to save. Limit the safari days. Many book safaris that may last for many weeks visit multiple parks and game reserves. That can really be great, but expensive.It is possible to enjoy safaris in just a few days in the same way. Limit parks that are visited. Each park has entry fees payable . This may vary depending on where you may be, but remember by visiting four parks, you are paying four times the fee. Safaris are lifetime experiences to savour for many. Make sure you plan. Do the research and do not merely settle for the very first quote you get,Negotiate and to save on the trip and you will not regret seeing the most amazing animals in the world. Find out the number in the group. Small groups tend to work out as they are more personal. Get guides that are more knowledgeable and find out which languages they are most comfortable with. Follow all the parking rules and regulations. Donate to schools and charities rather than individuals. Respect and understand customs and culture. Known to insiders, as Unguja, Zanzibar is an archipelago made up of Zanzibar and Pemba Islands, located in the Indian Ocean. 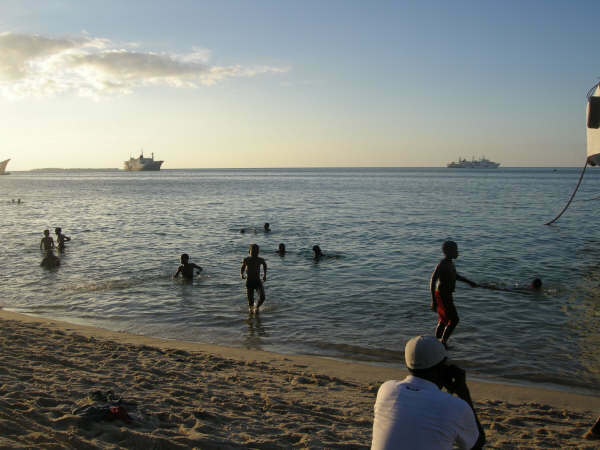 It is located in the Indian Ocean with beautiful sandy beaches with fringing coral reefs. Sixty miles in length and about twenty miles wide, it occupies an area, that is six hundred and fifty square miles. Pemba is Zanzibar’s sister island. It had many years of isolation from the outside world. Although Pemba has fewer tourists, there are beautiful beaches, natural forests and Misali Island, off Pemba’s east coast, is best for diving. The only functioning ancient town in East Africa – the magical Stone Town. Stone Town has been designated one of the world’s few heritage sites by the United Nations. Stone town is Mji Mkongwe in Swahili.The town was the centre of trade on the East African coast between Asia and Africa before the colonisation. The main export was spices and particularly cloves. For many years, Stone Town was the central base for slave trade; many were hauled from the mainland and rest of Africa and subsequently traded with the Middle East. The Anglican Cathedral is built on a former slave market. Some of the holding cells still exist at the site. Zanzibar has great symbolic importance in the suppressing slavery since it was one of the main slave-trading ports in East Africa and the main base where opponents like David Livingstone operated their campaigns. It was here that the Shortest War in History was fought in 1896. The Spice Island of Zanzibar is famous for beaches as well as luxury resorts.It is a place carved in nostalgic essence filled with overwhelming hospitality, captivating your soul as it takes you way back in time. The winding road lined with palm trees in lush green pathways open up into the oldest town in Tanzania,"Bagamoyo", A UNESCO’s World Heritage Site, the rich cultural heritage of Bagamoyo is an unforgettable exploration discovery in Tanzania. 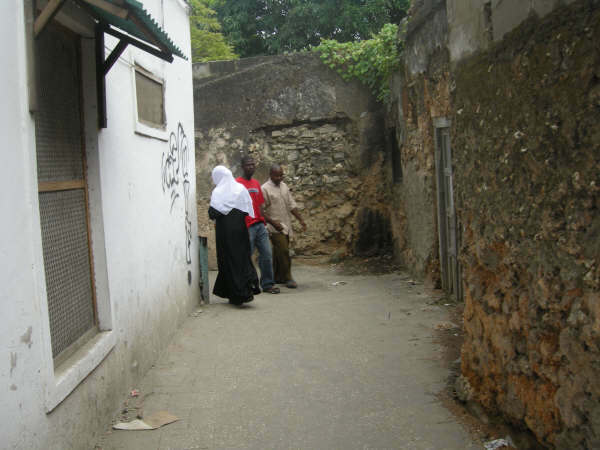 Strolling down the unpaved and narrow street of Bagamoyo takes you back into time. Way back into time. In the 19th century, this was an important settlement on the coast of East Africa. It was a route that linked Lake Tanganyika to the sea. Ivory, copra, salt and slaves were offloaded here before being shipped to Zanzibar and everywhere else. 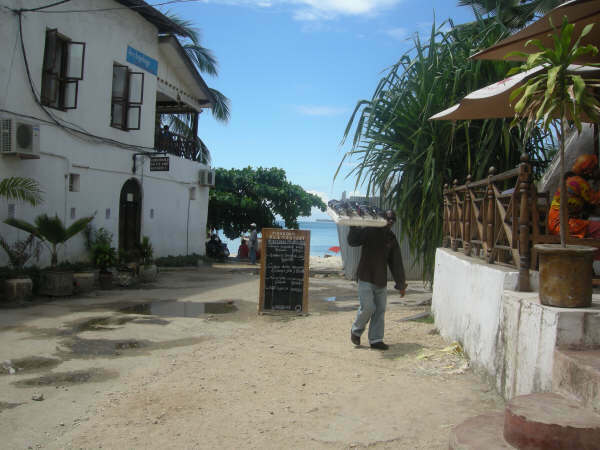 The history of Bagamoyo and the unhurried pace makes it an amazing excursion when in Tanzania. Bagamoyo dates back to 600-800BC, Bantu-speaking tribes, Kwere, Doe and Zigua lived here originating from the interior Azania. Hunting, fishing, and subsistence farming were the order of the day until family clusters from Persia disrupted in 1250 when they were attracted by fertile land and the multitude of fishing. Bagamoyo – the Swahili rooted name Bwaga ambiguously meant to lay down. Moyo means ‘heart’ Bagamoyo was unburdening for traders and porters after lengthy journeys and a 'lay down' of hearts for those captured into a destination of heartbreaking slavery. The ambiguity of the name Bagamoyo allows both meanings. The birthplace of Jakaya Mrisho Kikwete who served as president of the Democratic Republic of Tanzania, Bagamoyo lies about 70km from the capital of Dares-Salaam Little shops and art galleries line up the roadside. The tides slip in the coastal white sands. The oldest mosque, the ruined Kaole lies to the south-east of the town. A well-worn, old city with a population estimated at 30000, it is lined with historical architecture inspires by various designs. 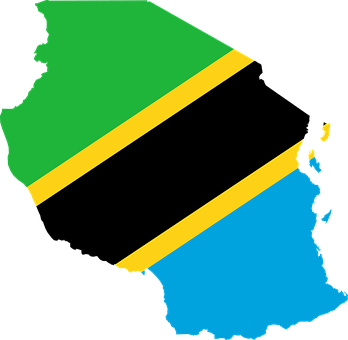 On the Swahili coast that was once integral for a commercial network between Somalia and Southern Tanzania, it was the link between the interior of Africa and the world via the island of Zanzibar. 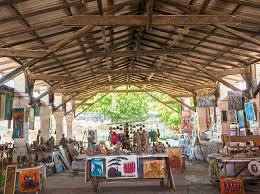 The once slave market has become the Bagamoyo Art market and is supports by the artist community in the town. Sun-kissed, dusty roads lead to a gallery where local artists who have transformed a wooden pavilion, a slave market of the past into an outdoor gallery featuring sculpture paintings and woodcarving. The gallery expresses a collective artist desire to link to a world economy, in the echoes of historic voices on every road corner. Malawi's vast variety, overwhelming friendliness  great lake, wildlife, landscape and culture makes it an ideal getaway for families. Formally known as Nyasaland, it's surrounded by Mozambique,Zambia, and Tanzania. The initial western inception was when David Livingstone entered the shores in 1859. A British wiped out  slave trade in 1891. For such a small country it has an unrivalled combination of Lake, Landscape and Wildlife. From rugged highlands to lowland plains, Malawi has an incredible variety of stunning landscapes. The unique rolling hills of orchid-clad Nyika; the cool forested plateau of Zomba; the 10000 ft climbers’ paradise of Mulanje Massif; the broad and fertile Shire Valley. Malawi means the “glitter of the sun rising across the lake”. And this vast inland sea is what we think about when we think about Malawi. Lake Malawi is the third-largest lake in Africa, the 10th largest in the world and covers 1/5th of Malawi. It’s sometimes called the Calendar Lake because it’s 365 miles long and 52 miles wide. Or find out more about the country. Karonga has an interesting but turbulent history as a centre for the notorious nineteenth-century slave trade. Now the town is the site of a new museum focused on both its cultural history and the recent archaeological finds of dinosaur and hominid bones. At the top of the northerly point of the lake, you will find Nkhata Bay, that was reached by David Livingstone. Its small sheltered harbour is a focus for the Lake’s fishing industry but it is also becoming increasingly important as a tourist centre. Off the eastern shore of the Lake is Likoma Island: a small piece of Malawi in Mozambican waters. This is where the headquarters of Livingstone’s mission to Central Africa in the 1880s. 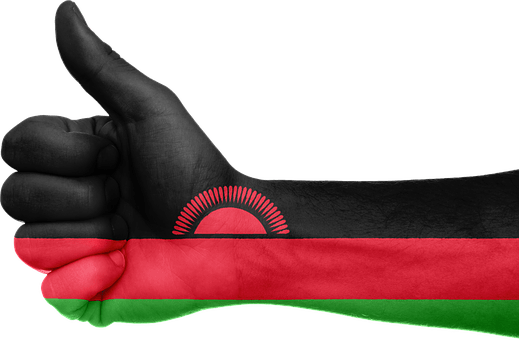 That’s why Malawi kept it when the Lake was divided politically after World War II. Likoma’s claim to fame is its cathedral (the size of Winchester’s) started in 1903. This vast building is a small piece of England in Africa, including stained glass and carved soapstone. That’s why Malawi kept it when the Lake was divided politically after World War II. Likoma’s claim to fame is its cathedral (the size of Winchester’s) started in 1903. This vast building is a small piece of England in Africa, including stained glass and carved soapstone. Visit the world’s first freshwater national park. Lake Malawi National Park, close to Monkey Bay, lies towards the southern extremity of the lake. The park includes a land area around the cape and bay as well as the Lake and islands up to 100 metres offshore. It’s also a world heritage site. Snorkelling and scuba-diving are increasingly popular here because of the attraction of seeing the brilliantly coloured fish, the mbuna. Lake Malawi contains more fish than any other lake in the world. Some of the rarest tropical fish in the world are unique to this vast lake. it has about 1000 species of fish. It’s is a true kaleidoscopic aquarium. The countless thousands of freshwater fish, the mbuna, are more abundant and varied than anywhere else in the world and will feed directly from the hand. Marine animals include two species of otter and occasional crocodiles. In the North the lake is quite extraordinarily deep: 700m, plunging well below sea level. This reflects the enormity of the natural faulting of the Great Rift Valley which is the origin of the Lake itself. Try out the range of watersports available along the length of Lake Malawi. Swimming, waterskiing, sailing and kayaking are all available along the extraordinarily clear lakeshore. Because of its rich harvest of fish, the Lake plays an important part in the country’s economy. Fishing villages are scattered along the length of the lakeshore and you’re welcome to visit the traditional industry. Go fishing on the southern lakeshore north of Mangochi and at Senga Bay. There are opportunities to fish for yellow fish, lake salmon and lake tiger. Trout angling is easily arranged at Nyika Plateau or Chelinda as well as Zomba Plateau. Go fishing on the southern lakeshore north of Mangochi and at Senga Bay. There are opportunities to fish for yellow fish, lake salmon and lake tiger. Trout angling is easily arranged at Nyika Plateau or Chelinda as well as Zomba Plateau. Tanzania is filled with tourist attractions, and some are overlooked. The remote location of the town Mtwara is slightly elevated along Makonde Plateau. Located on the south east coast of Tanzania along rugged coastline patch that leads to the Mozambique border. 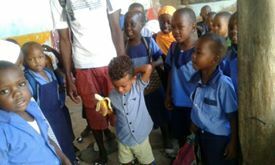 The history of Mtwara goes back to the times of colonialism by the Germans. The old prison built in the 1880s is partly in ruins but was used as a customs office by the British as a police station and a post office. The Majengo area is a worthwhile stop at a popular site of interest, St Paul’s church for remarkable artwork. The walls are covered with biblical scenes rich in colour that was painted in the mid 70’s by a German priest, Polycarp Uehlein. In distinctive style and colour makes these paintings a notable for the portrayal of biblical themes. Originally built by the British for an agriculture scheme focusing on the plantation of groundnuts along the south coast of Tanzania. This scheme came about after the second world war. when British took control of Tanganyika from Germans. The plantations failed, but Mtwara the town remains. Mtwara is excellent to stop for supply when journeying on trips to Mnazi Bay and it is good base f when on an exploration of the nearby Mikindani. Mtwara is a gateway into the Southern Tanzanian scene for business and tourists. There is easy access to Dares Salaam with regular and frequent flights as well as sailing. For wildlife enthusiasts game viewing at the Selous game reserve, the biggest trans-boundary game reserve in Africa. Seventy kilometres from the town of Mtwara is a spring fresh water “lake Kitele” unique as it is not fed by any valley or river. On a cultural note, Mtwara is spiced with coastline Swahili culture with Makonde carvings named after the Makonde tribe for their unique carvings. Accommodation for tourists is set to increase as the area opens ups for economic growth. Planning to explore Tanzania-East Africa for a Safari or beach getaway? On a venture to explore Tanzania? These are key travel tips to take heed of in this exciting venture. Main Language use is Kiswahili. Pick up a few words and blend in with the locals. Currency is Tanzania Tshillings, but foreign currencies like Euros and Dollars are accepted at most tourist spaces. Credit cards, not widely. ATMs for cash withdrawals are available and park fees for Safaris are payable with a designated TANAPA card issued at local banks ELIM or CRDB. Air Tanzania, South Africa Airways, Fastjet, Precision air, Uganda, Egypt, Ethiopian, Emirates.Kenya, Oman, KLM, Qatar and Rwanda. Take a yellow fever vaccination. Malaria is preventable, provided that repellents and mosquito nets are used. There is anti-malaria medication available as well. Make sure only bottle or boiled water is used for drinking. Weather is dry and hot with cool mornings and evenings. Short rains from November to mid-December and a long rainy season from March to May. Coastal areas remain hot and humid all year round. Seasons do vary. If you are planning to reach Kilimanjaro Peak or climb Mount Meru, freezing points can be reached. Take along light clothes and a sweater for mornings and evenings. If you are venturing on a game drive and a Safari trip a sun hat, sunglasses and sunscreen will be advisable and long pant and sleeves to ward off insect bites. If Kilimanjaro or Mount climbing ventures, get thermal underwear, rain jackets, boots and socks and a sweater. Safari Parks usually open at 6:30 am and close at 6:00 pm. Advice since distances are long to travel between them is to choose specific parks. Travel less and see more. Follow the advice of guides and ranges.keep vehicles in designated spots and follow recognised paths to avoid vegetation damage. Cameras should be protected and do ask permission before taking pictures of local people. Carry a headlamp or torch as power failures and surges are common. 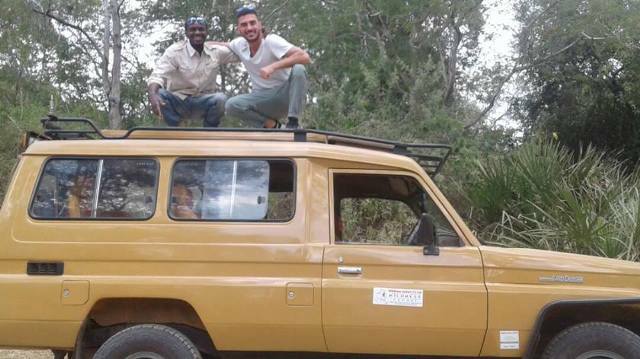 Safari car hires usually need to be hired with a driver. Check visa requirements with the embassy or consulate. Protect personal belongings even though Tanzania is generally a safe country. Posted on June 30, 2017 April 17, 2018 Author Shabani MpitaCategories #OnlyInTanzania, Africa, Tanzania, Tanzania, Travel, Uncategorized, WildlifeTags #OnlyInTanzania, africa, Safari, Tanzania, wildlifeLeave a comment on Planning to explore Tanzania-East Africa for a Safari or beach getaway? Malawi has unique scenery, evergreen forests, waterfalls, rare wildlife and stunning valleys. Go wildlife and game viewing in the national parks, without the tarred roads filled with convoys of 4-wheel drive vehicles. Look for elephants during the early mornings and evenings in Kasungu National Park, when they come to drink from dambos (river channels). The grasslands support large herds of buffalo and kudu and reedbuck. Malawi has the best birdlife in the region. 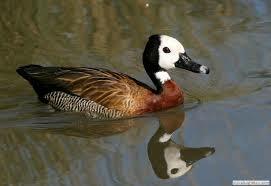 Vwasa Wildlife Reserve has close to 300 species including stork, heron and the white-faced tree duck. Herds of thirty or forty elephants are regularly to be seen and there are large numbers of hippos. Lake Kazuni, near the main entrance to the reserve is famous for its hippos. Buffalo are present in the reserve but their roaming habits make their sightings less easy to predict. Nyika , Malawi’s largest park and completely unique in Africa. It means “where the water comes from” and it’s one of Malawi’s most important catchment areas. Nyika is wonderful for hiking, mountain biking and horse riding safaris to see the diminutive duiker, or Zebra, warthog, bush pig, eland and roan. The park has one of the highest densities of leopard in Central Africa. If you’re lucky you can catch lions and elephants. For the birdwatcher, over 400 species have been recorded including the rare Denham’s bustard, the wattled crane and the red-winged francolin – endemic to Nyika. Views at the top of the 2,100m Zomba Plateau. 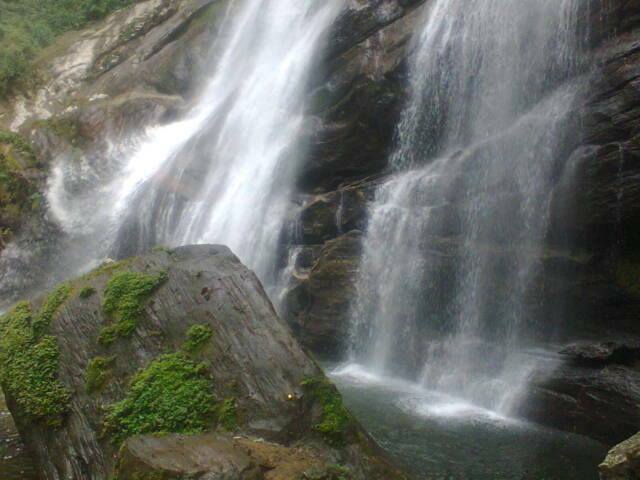 Its vast forests and waterfalls tower above Zomba, a university town and the former capital. 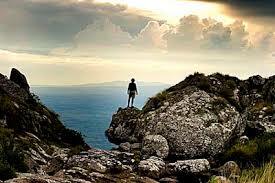 Or climb the magnificent Mulanje Massif. The highest mountain in central Africa, the central point of this huge block of mountains, which cover more than 640 sq km and rises to over 3,000m can be seen at Sapitwa. Dedza, Michiru, Ndirande and Chiradzulu also offer challenging slopes. The main attractions in attractions are the wildlife reserves and national parks and wildlife reserves of unspoilt wilderness where animals are discovered in natural habitat and not merely observed. Safaris in Malawi cater for all budgets and tastes, You can either rent an open 4×4 for a game drive or take a walking safari and dive safely into the wild. Close encounters in Majete Reserve can be tracking elephants. Horseback safaris are another opportunity to ride along zebras and antelopes. The big five ( leopard, elephant lion, buffalo, and rhino) are in Malawi with splendid antelope range and smaller cats. Hippos are found in large numbers and are symbolic of the wildlife scene. Malawi definitely makes a memorable Safari. Malawi is a popular option for first-timers who want a taste of Africa but it is also a sophisticated experience for distinguished wildlife enthusiasts or those who wish to wander and feel the Malawi experience. We depart from a pickup point in Dar es Salaam, Tanzania and drive to Selous Game Reserve early morning. On the way, we stop for lunch at Kibiti, small city, in the Pwani. 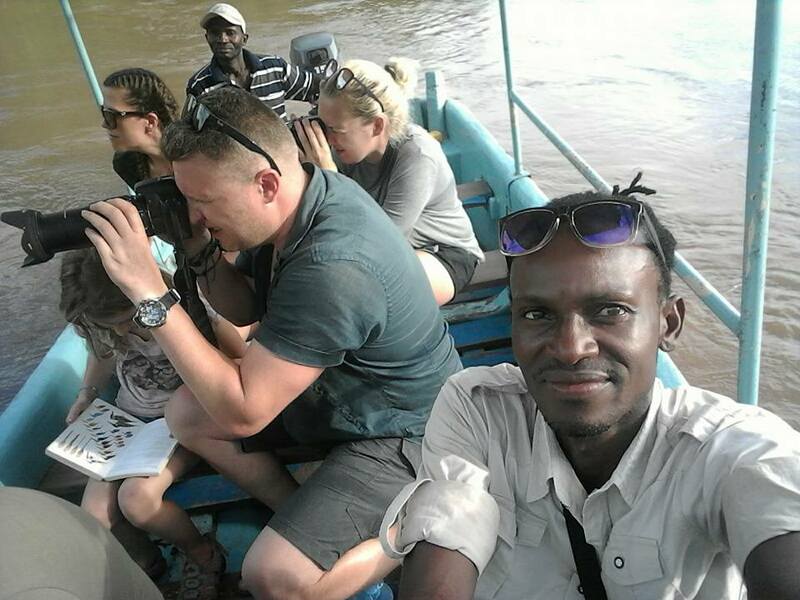 We arrive at Selous Game reserve late afternoon and do a boat Safari on River Rufiji for two hours Overnight lodge at Selous. On the second day, a Game drive in Selous National Park and have a picnic lunch. Selous in the Southern region of Tanzania is the largest game reserve in Africa. The most popular for wildlife viewing . A hidden gem with rivers and lakes with fabulous game species including wild dog, elephants, crocodiles hippos, crocodiles and lions as well. We begin with a cultural Village Tour of Mloka in the morning after breakfast for two hours. Mloka Village approximately 3km from the Selous Game reserve. The village tours are a walk in the village, a market visit and interacting with local people. The village tours are a walk in the village, a market visit and interacting with local people. Mloka Village approximately 3km from the Selous Game reserve The village tours are a walk in the village, a market visit and interacting  with local people. The village tours are a walk in the village, a market visit and interacting with local people. 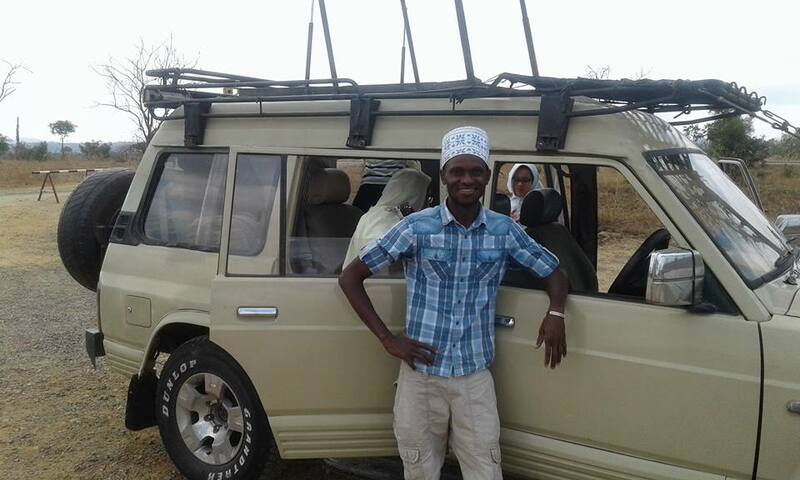 After the tour, we proceed to Mikumi game park and arrive in Mikumi National park in the evening. Overnight stay over in Mikumi. Mikumi is abundant  in wildlife on the open horizon of the  Mkata Floodplain, the Mikumi centrepiece similar to the popular  Serengeti Plains. We Journey to explore Undzungwa mountains. Udzungwa, the largest and the  most biodiverse  forest swathed   mountain  rises majestically  from  eastern Tanzania flat plains . It is a treasure-trove of  animals and endemic plants . After exploring the magical wonders on Undzungwa, we sleep over for the night. On the morning of day six, we depart to Saadani National park. Saadani National park in the historical triangle of Pangani, Bagamoyo and Zanzibar the park is the only wildlife sanctuary that borders the sea. The hot, humid  coastal climate  offers a unique marine fauna and flora variety in a setting that is culturally fascinating .There are approximately thirty species of mammals as well has numerous bird and reptile species. The ocean  has a variety of fish species with dolphins, whales and green turtles. Delve into the mystic wonders of Tanzania with leaping red monkeys,crawling coconut crab, and traces of first human life on earth. Human life started in Africa-Tanzania. Evidence exists of the very human ancestors on earth in Tanzania, Olduvai on a site called Olduvai Gorge. 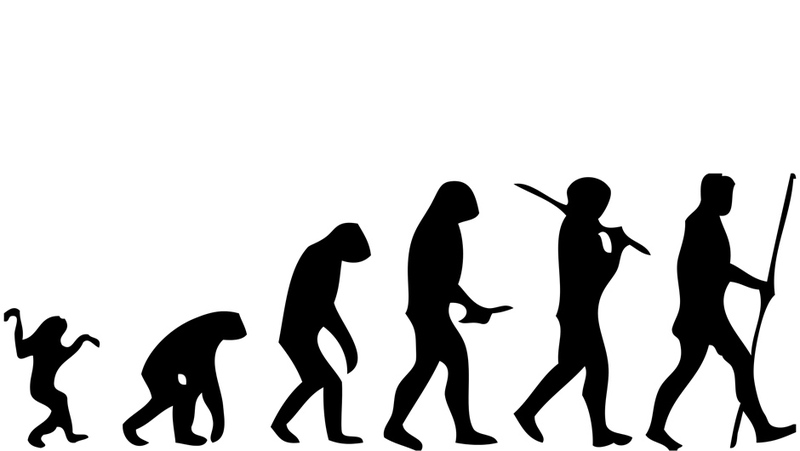 Stone tools and fossil bones that date back millions of years ago were discovered and this led to the conclusion that the first human beings originated in Africa. The earliest human skull in the world was discovered in Olduvai Gorge in Olduvai a misspelt Maasai word Oldupai that defines a plant called wild sisal growing in that area. 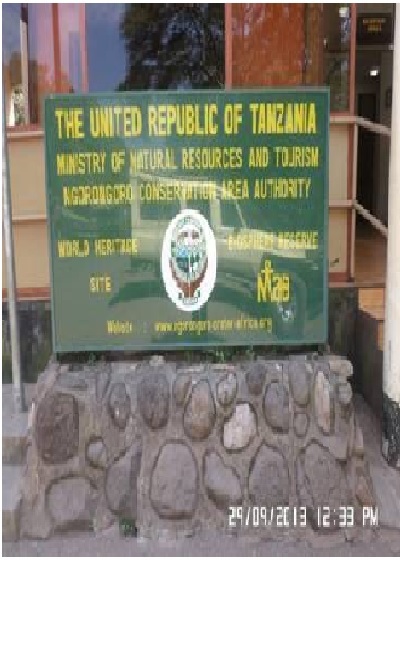 It is located between Ngorongoro and the Serengeti National Park. Thirty percent of Tanzania consists of National Parks, with twelve parks, thirteen nature reserves and thirty-eight protected areas and many endemic or endangered species including twelve vertebrate species that were discovered in recent years. Three notable Tanzania species the red Colobus monkey of Zanzibar, flying fox in Oembe and Ader Duike, Africa’s rare forest antelope. 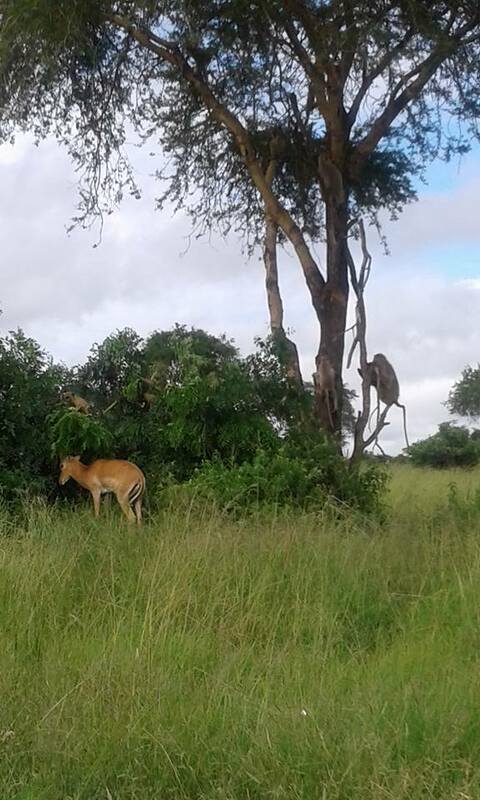 The Tarangire national park has the highest density of large ungulates in the East of Africa as well as kudu, oryx and the highest elephant population. Wildlife migration is seasonal and they disperse to neighbouring lands belonging to Massai communities and coexist with the herds. 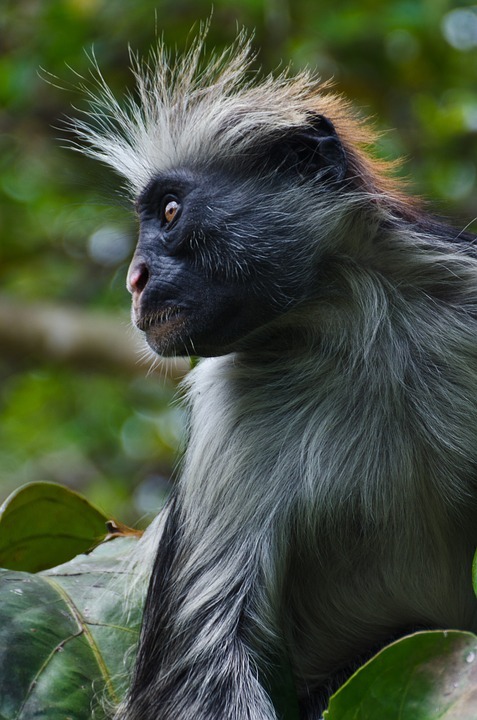 The Kirundi was discovered in the year 2003 and is the first new discovery of monkey genus in over eighty years and is rare with the last population count not exceeding 1,117. The Ruaha River is Tanzania’s key waterway for fishery and provision of seventy percent of the country’s electricity. 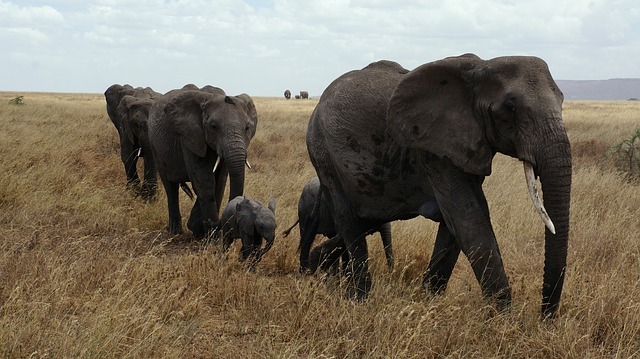 The largest population of the wild elephant is in Tanzania’s Ruaha National park. Mount Kilimanjaro is Africa’s highest mountain and the world’s highest free-standing mountain. Kilimanjaro represents East Africa’s compelling beauty. Rising in a breathtaking isolation from the coastal scrubland that surrounds it to an elevation of 900m to 5895 m.It is the most accessible high summit in the world. The coconut crab is the largest crab in the world is found in Tanzania on Zanzibar Island.The BirgesLatro, coconut crab is a hermit crab that is terrestrial. 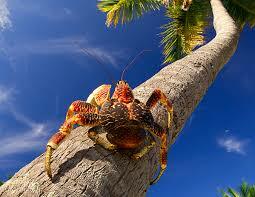 Other popular names for them are ‘robber crabs’ and ‘palm thief’s’. 6 .Ngorongoro, the world’s largest volcanic crater is nineteen kilometres with a depth of six hundred meters.The crater formed after a volcano exploded and collapsed about three million years ago. It is declared a world heritage site by UNESCO. 7.Freddie Mercury, the popular lead vocalist of the well-known band “Queen” was born in Zanzibar archipelago. Tanzania. Originally his name was Farrok Bulsara. 9. Tanzania has over four million wild animals consisting of four hundred and thirty species as well as subspecies. The concentration of animals for every square meter is the largest in the world. 10. The Mpingo trees also known as the African Blackwood tree is the source for one of the most expensive timbers that exist in the world grows in Tanzania. The fine texture, high density and durability make it a preferred type of wood for musical instruments.